Welcome to Day Two of official Masters 25 previews and to be quite frank, Wizards of the Coast delivered another round of rather exciting cards. 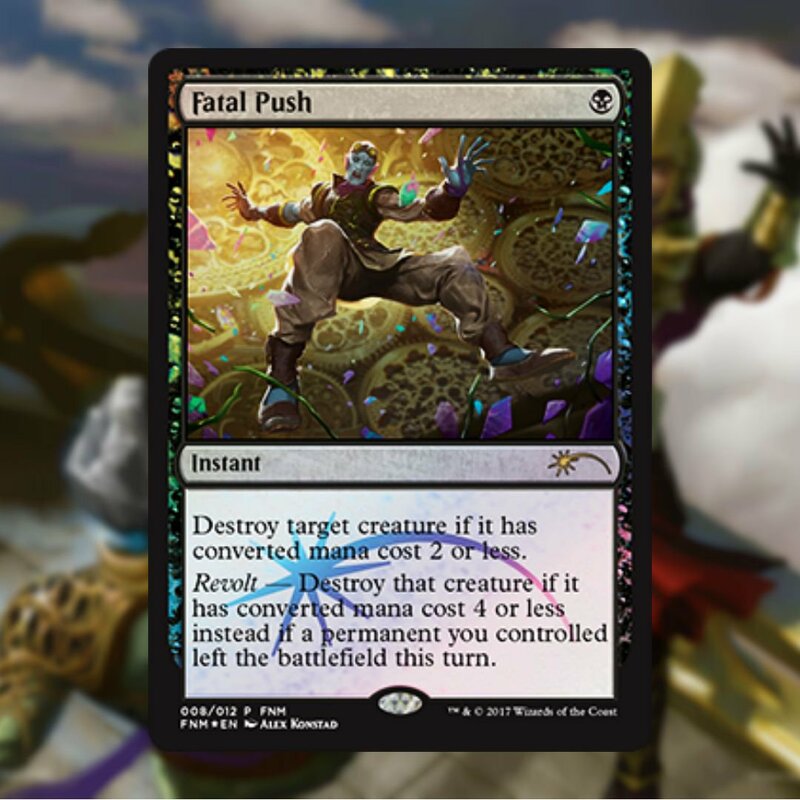 We're certain that each Magic: the Gathering player has a particular favourite that they would be ecstatic to pull from a pack, and our personal fav would be Rishadan Port so far in today's batch. There are a number of notes we would want to cover later such as changes in rarity, new card artwork, and perhaps changes in rarity, but we will hold off for now until the full set is previewed. 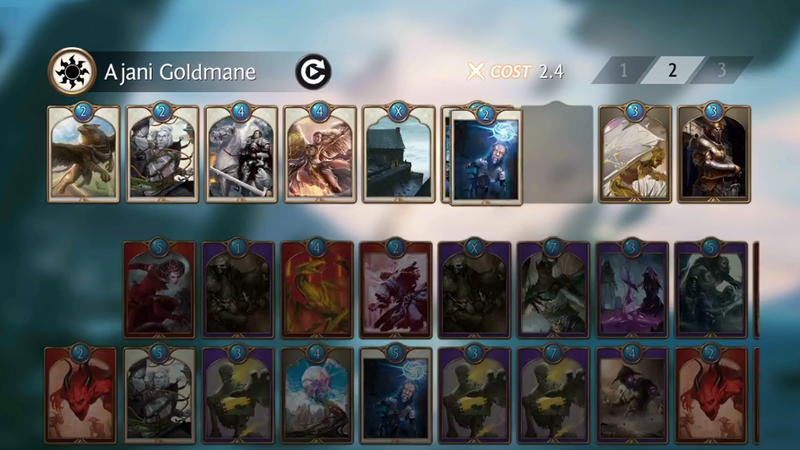 For now, please do official card image gallery (updated daily) right over at this link. For this post, we will summarise the cards previewed so far today - let's get to this now. 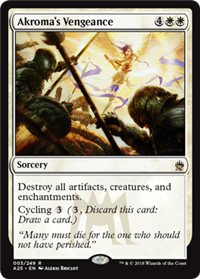 Official previews from Wizards of the Coast and their media partners delivered a mass of Masters 25 cards today, and in short, it is pretty glorious. For those not in the know, Masters 25 is a booster-based compilation set that will be released on March 16, 2018. It is designed to be drafted and celebrates twenty-five years of Magic: The Gathering, with most of the 249 cards a watermark, representing its original expansion symbol. The official card image gallery is to be updated daily right over at this link. For now, here is a summary of today's sweet previews. For an MSRP of $30, each Challenger Deck comes with a complete sixty-card main deck and a fifteen-card sideboard and is intended to be playable and competitive at a local level right out of the box. All cards will have been previously printed in Standard and are Standard-legal. These decks are a great purchase for newer players looking to get into Standard but can also appeal to veteran players thanks to the powerful cards in each deck. We did anticipate that Wizards would be delivering a strong first showing with the Challenger Decks - in a two word summary - 'expectations exceeded'! We are still looking for our socks which were knocked right off. We assumed that the number and quality of rares (and there are a LOT), would be throttled back a bit in deference to the secondary / singles market environment, and we were completely wrong. There may be a few rumblings from some quarters regarding this, but the general consensus is that any dip in singles prices at this time would recover in time. Having just said this, anticipating an ever-changing marketplace, there may not be a full recovery of (yesterday's) price before those cards do rotate out of standard. 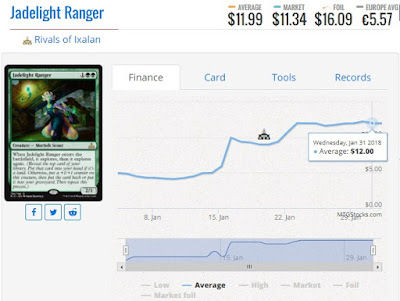 The big take-away here we think is that those players who may have been hesitant about playing standard due to entry price (for a competitive decklist), may now join in the fun, provided the retail prices remain stable and close to the suggest price. When we had started playing Magic: the Gathering (in Lorwyn), the Plane of Dominaria was already in the rear view mirror, and for reasons which are perhaps inexcusable, we had not read any of the stories. To this end, we are perhaps at a bit of a loss as we approach the upcoming set of Dominaria. We are very much looking forward and are now starting to read about some of the fantastical characters in the old stories. 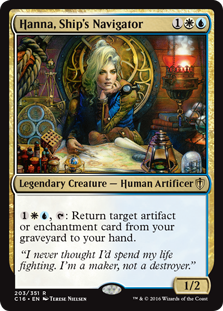 Step aboard the legendary airship Weatherlight and explore Dominaria, an ancient world whose stories are known throughout the Multiverse. 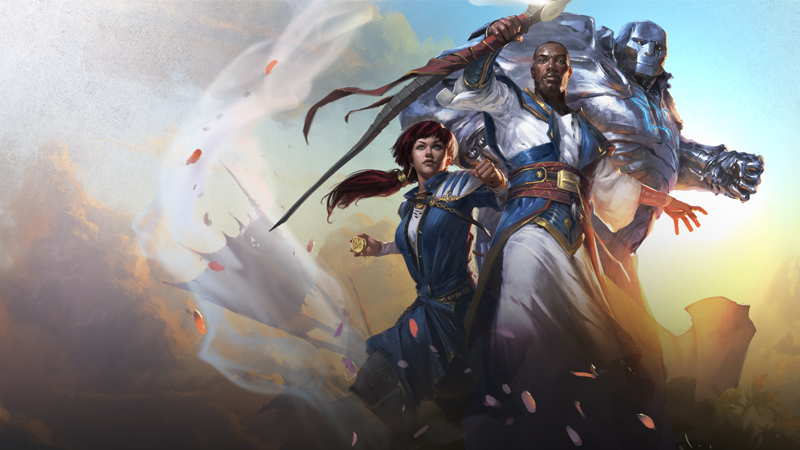 Dominaria has weathered one apocalypse after another and emerged into a time of rebirth and renewal. 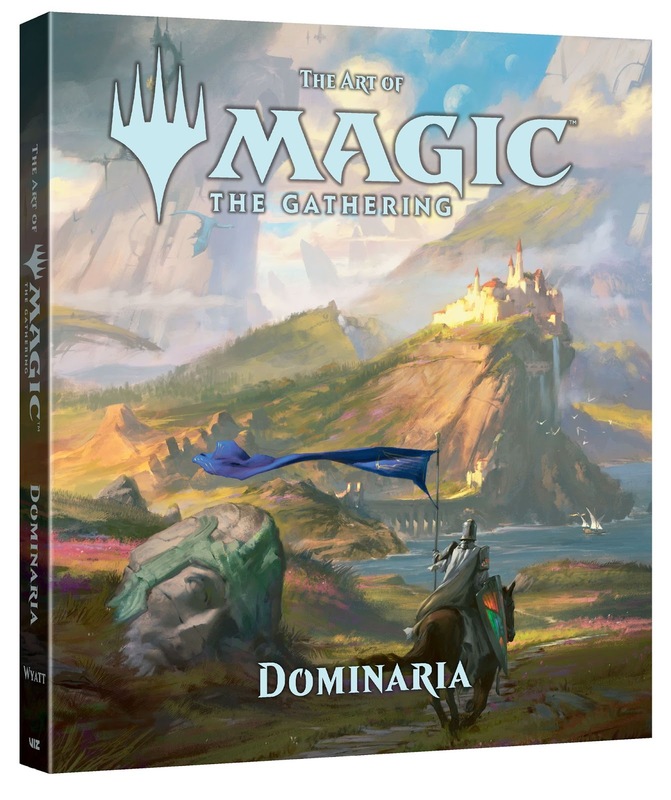 It is likely a rather good place to start then, with the crew of the Weatherlight in order to begin an orientation of Dominaria, before it releases at the end of April, 2018. 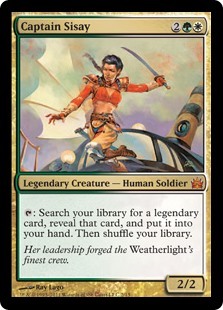 The following is from the Wizards of the Coast article 'Meet the Weatherlight Crew' post linked here to help us prepare for the awesome new set. Born to inherit the Legacy--a collection of artifacts destined to overthrow the evil forces of the multiverse--Gerrard has endured much hardship during his life. 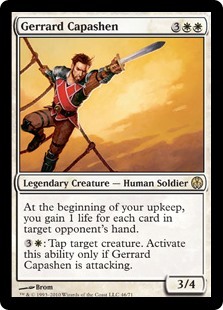 After years spent as a Master of Arms in Benalia, Gerrard has chosen to return to the Weatherlight to lead the rescue for his former captain and mentor, Sisay. Sisay spent some years traveling with Gerrard in search of the Legacy, then years more on her own after his abrupt departure. Her kidnapping by Volrath was a calculated plan on evincar Volrath's part to draw Gerrard back into battle. 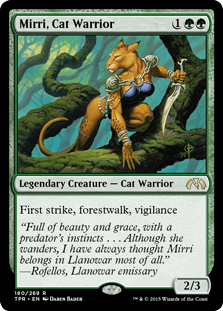 Abandoned by her cat warrior kin when she was young, Mirri was raised alongside Gerrard for many years as they were both trained in the arts of war and magic. She is a skilled combatant and Gerrard's closest friend. 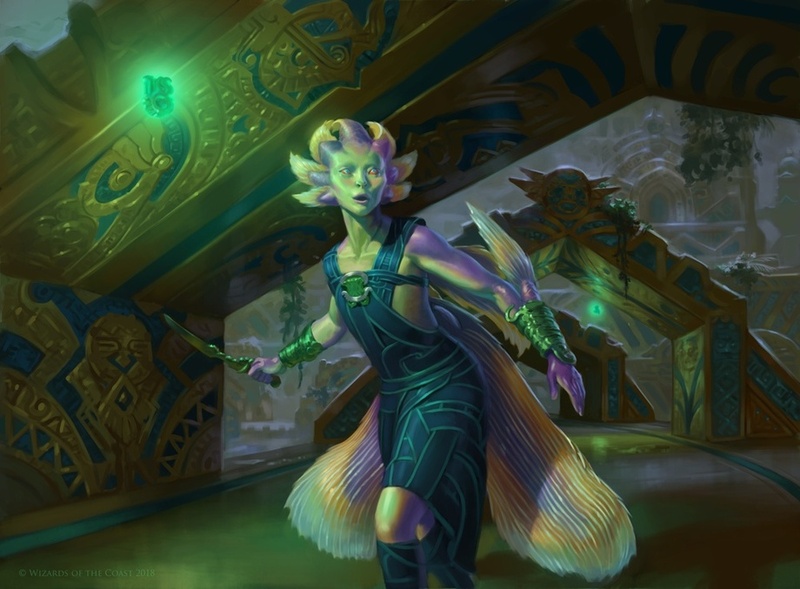 Gerrard sought her out in Llanowar after he decided to return to the Weatherlight, and she eagerly rejoined him aboard the ship. 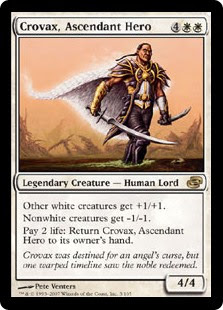 Crovax was brought to the edge of his sanity by the forces of Volrath when Volrath had Crovax's noble family destroyed, leaving Crovax the sole survivor. Believing himself to be cursed, he eagerly joined the Weatherlight crew on their journey to Volrath's realm, hoping that there he might find salvation from his plight. 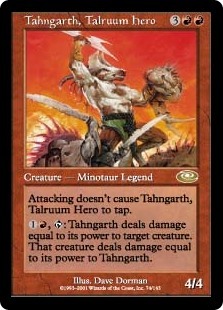 Part of the proud race of Talruum minotaurs, Tahngarth served as first mate of the Weatherlight under Sisay's command. Impatient, gruff, and vain, Tahngarth now follows Gerrard, but he cannot hide his suspicion that Gerrard is not ready to be a leader. The daughter of the ancient wizard Barrin, Hanna was educated at the Argivian University where she learned much about the uses of artifacts. She brought her talents to the Weatherlight and began to develop a romantic relationship with Gerrard. That relationship ended abruptly when Gerrard left the ship years ago, but his return may have rekindled her interest in him. 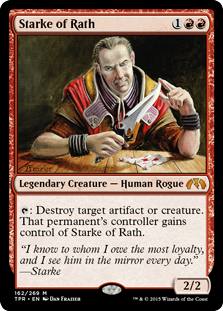 Trained under Hanna's father Barrin, Ertai is an untested wizard of potentially great power, which is exactly how the arrogant young man thinks of himself. 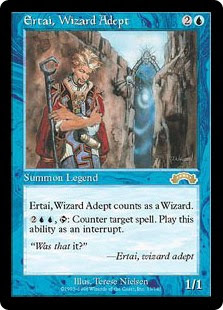 When Barrin elected not to join the Weatherlight crew, Ertai came in his place, leaving behind Tolaria and his mentor. 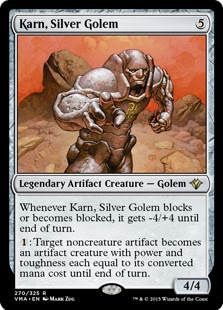 As part of Gerrard's Legacy, the silver golem Karn was charged with protecting the child Gerrard from harm. When he was tricked into killing an innocent man, Karn vowed never to take another life, no matter what the circumstances. He rejoins Gerrard on the Weatherlight after spending years deactivated. 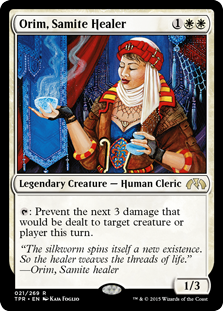 Orim is skilled in numerous languages as well as the healing arts of the Samites, and she has served faithfully aboard the Weatherlight for many years. Highly spiritual, she believes that challenging Volrath is morally vital. After escaping Volrath, Starke was forced back into the evincar's service when Volrath took Starke's daughter prisoner. Since then, Starke has tried to ally himself with Sisay, betrayed Sisay to convince Volrath to let his daughter go, and has now pledged his services to Gerrard as the Weatherlight's guide to Volrath's realm. His duplicity has often been his undoing. 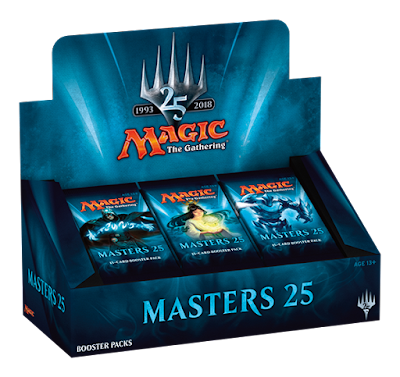 Masters 25 will contain 249 cards from across Magic 's entire 25 year history and designed to be drafted. 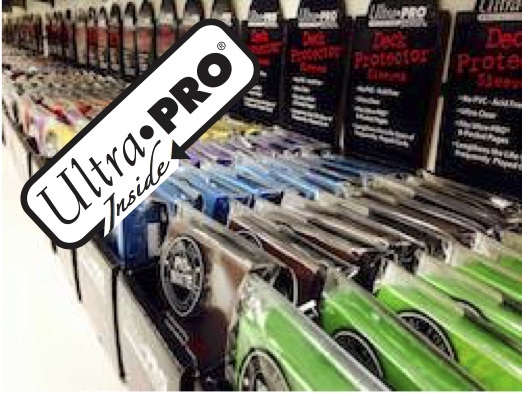 Similar to the previous Event Deck products, these are 75-card pre-constructed decks are geared toward Standard play for the Friday Night Magic player. 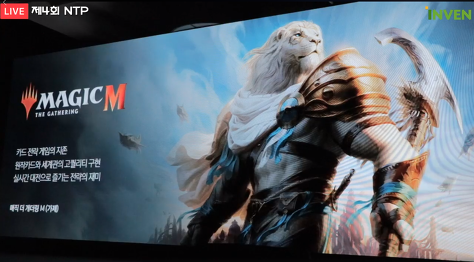 Dominaria will contain 269 cards and is to is the first set to follow the re-introduced Three-and-One Model. 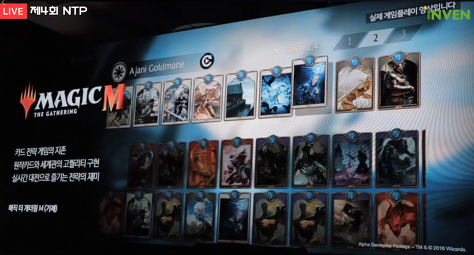 Set on the Plane of the same name and will ceautre the Gatewatch as well as a number of legendary characters. Similar to the previous Commander Anthology, the boxed set to contain four 100-card decks including thirteen foil commanders and 99-point sping life-counters. Battlebond will contain 254 cards (85 new cards) is the first-ever Two-Headed Giant-focused Magic booster set for limited play. Storyline to take place in the Areana at Valor's Reach on the plane of Kylem. Similar to From the Vault series, this is the first Signature Spellbook set containing nine previously printed themed cards. Name for two new Planeswalkers, this set of two 60-card decks, is designed by a team of Chinese artists, writers, and folklorists to explore a new branch of Magic lore rooted in Chinese aesthetics and mythology. 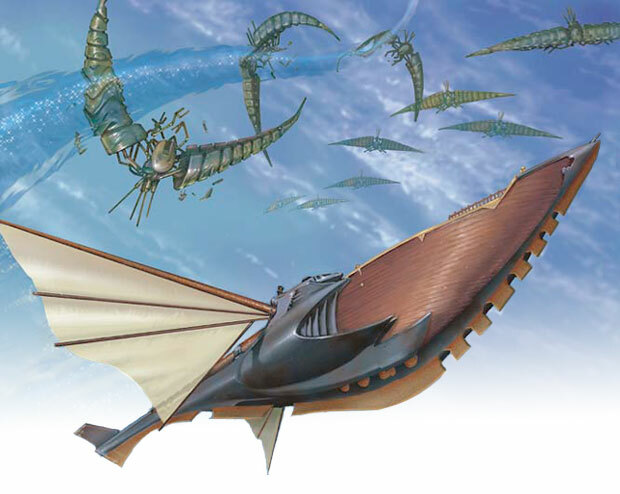 Core 2019, containing 269 cards, this is to be the 18th core set and the first to be released under the re-introduced Three-and-One Model. 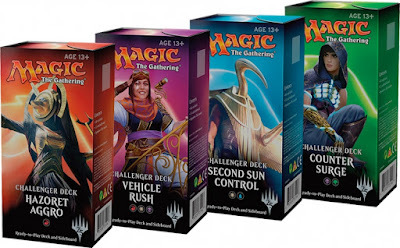 Core sets took a break since Magic Origins in 2015. The latest in the pre-constructed Commander series. Will contain four 100-card decks and should this follow previous product design, a blend of new cards and reprints. There was a slew of very interesting announcement today by WotC Blake over at the mothersite. Titled 'Valentine's Day Mini-Announcement Day' (linked right here), this post is jam-packed with a lot of things to yatter about. This book follows up on previous offerings timed with set releases for Zendikar, Amonkhet, Innistrad, Ixalan and Kaladest. 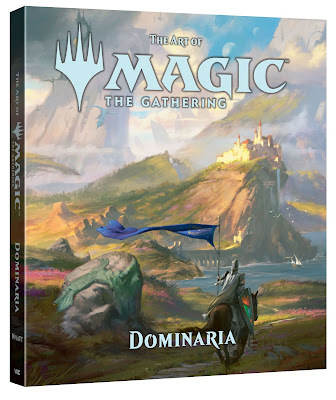 Dominaria is home to the volcanic continent of Shiv, the time-shattered isle of Tolaria, and the cold mountains of Keld, Dominaria is setting to some of the Multiverse’s most brutal conflicts, and most powerful mages. We have already seen some very impressive arts for this upcoming set and can't wait to page through this. Looking very much forward to getting the MTG Companion mobile app. Info linked here. 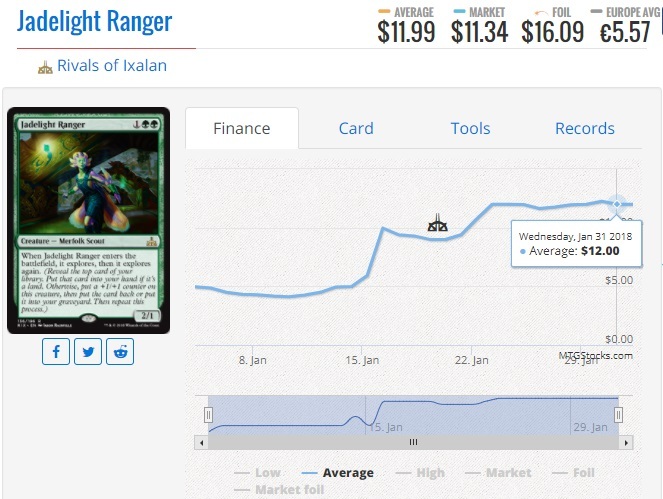 Life total counter, card look-up, rules look-up and more sounds great. 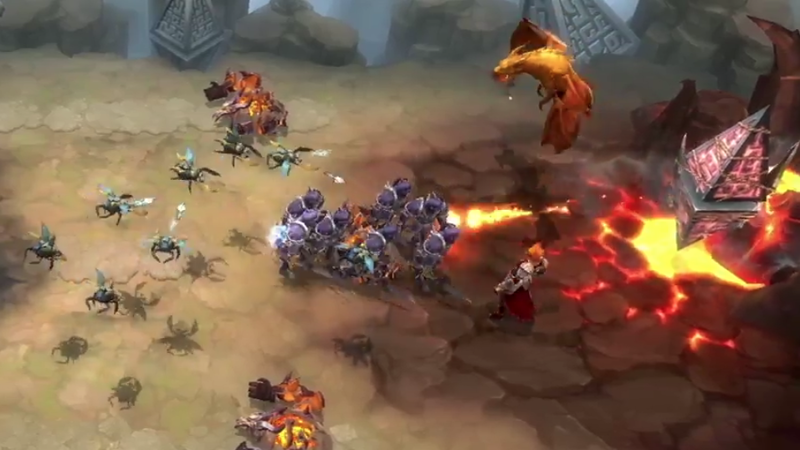 Not really a 2-Headed Giant player - BUT - a one-off set called Battlebond is visiting a NEW PLANE called Kylem, where fans flock to the Arena of Valor's Reach to watch two-on-two combat. We will want to game with this and pick up singles when released in June, 2018. 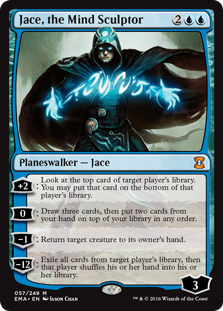 For other news like the Signature Spellbook: Jace, pop on over to Wizards. Last weekend was rather busy with work, but we were still able to take an occasional break to catch up on coverage of Grand Prix Toronto, February 9-11, 2018. A number of players from our local gaming store OMG Games here in Barrie took the 50 minute drive down to attend, but this was quite an international event. Visitors to Canada were greeted by typical February weather in Toronto - cold and a lot of snow-covered lands. If you have not yet, click on over to the coverage summary here at Wizards. Results indicate that Modern format is in a really good place right now with ten players finishing Day 1 undefeated, with 10 different decks. 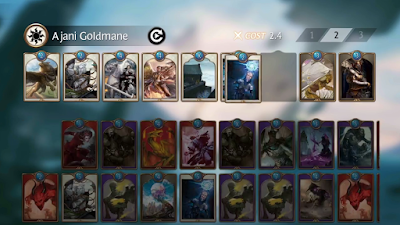 Compared to a few short years ago where Day 2 decks essentially were restricted to just a handful, it has improved rather well. 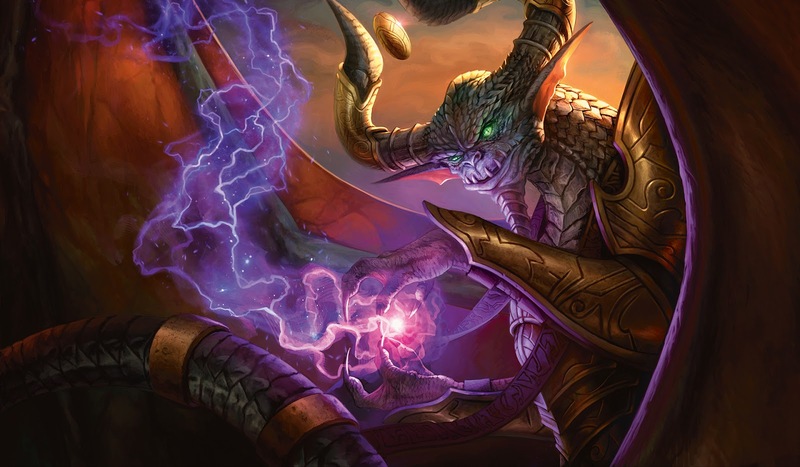 Check out the Top 8 Decklists linked right here. Of note, we are rather happy to see GP Toronto winner Dan Ward and his Bogles - we are being biased of course as we run a Bogles decklist. Since the mini-preview of Big-Daddy Jace (Jace the Mind Sculptor) with the packaging preview of the upcoming Masters 25 release (March 16th), many were anticipating the un-banning of Jace in Modern in today's announcement (linked here). A number of Magic: the Gathering community members had been also calling for Bloodbraid Elf to be unbanned as well. For a very good (and prophetic) article written ahead of today's announcement, read SafronOlive's article linked right here. In short, we think these are rather acceptable given the state of Modern and although we do not have plans on playing these in the near future, we do personally know a few players who are likely very happy to see these cards back. Some Magic: the Gathering news from Seoul, South Korea. Yesterday at the Seoul Duke City Hotel, game publishing company Netmarble hosted the 4th Annual NTP (Netmarble Together with Press). A total of 18 new mobile games were announced as part of the Netmarble lineup for 2018 which included Seven Knights 2, Icarus M, First Born, Harry Potter 'Hogwarts Mystery' and Magic: the Gathering 'M' (a code name). 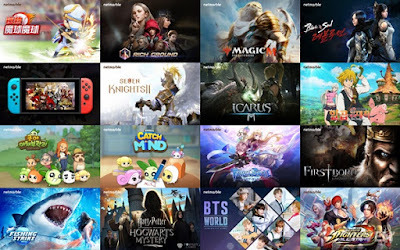 Netmarble Chairperson Bang Jun Hyuk, Kwon Young-Sik, and Baek Young-Hoon provided some Alpha gameplay media which showed 3D images of this multi-player real time game for the mobile game market. Some big news out today, at least for those like us love our Friday Night Magic routine to kick the weekend off. FNM promos (aka - Friday Night Magic promotional cards) are foil promotional cards provided by Wizards of the Coast as additional prizes at Friday Night Magic events. FNM promos have been around since 2000, with a very much appreciated change in 2008, when the foil FNM promos started featured alternated art. 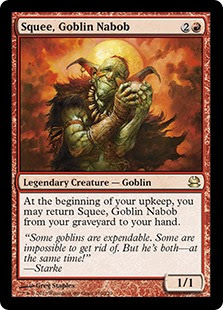 In October 2017, Wizards of the Coast started replaced the regular FNM promo cards with foil doulbe-sided tokens. Although these were appreciated, we think, from discussions, that a large number of players really preferred cards over tokens. Today on the mother-site (linked right here), staffer Blake Rasmussen announced that there is to be a return to non-token Friday Night Magic promo cards timed with the release of Dominaria on April 27, 2018. We are certainly looking very much forward to this change and do hope that Wizards still provides those foil double-sided tokens, perhaps as part of a product offering or special participation program at local gaming stores (League, Showdown, etc.). Before the change in October last year, the FNM promos printed generally were sought-after cards and perhaps the best selections in some time. We do hope Wizards continues that trend and in addition to the very good standard cards, provides a few non-standard cards per year as well to entice Modern and Commander players. 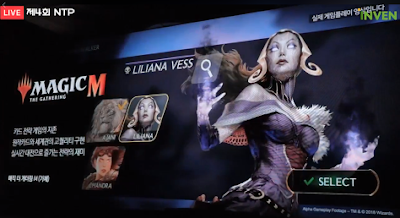 Today, Blake Rasmussen had posted a bit of a teaser on the Wizards of the Coast Magic: the Gathering site. Specifically product packaging as well as two cards to expect for the upcoming Modern Masters product, which releases on March 16, 2018. Masters 25 is a booster-based compilation set that will be released on March 16, 2018. It is designed to be drafted and celebrates twenty-five years of Magic: The Gathering. 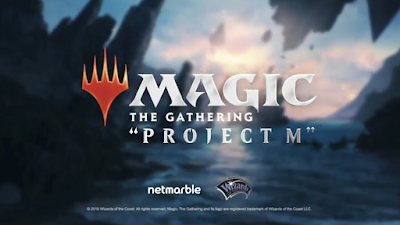 Players will get to draft like a master as they are taken back through time to experience some of the most popular planes, mechanics, and spells in Magic's history. Masters 25 will feature the return of Jace, the Mind Sculptor and Azusa, Lost but Seeking, including a very mysterious metal spikey character. We suspect that this may be Platinum Emperion, but we may have to wait until the official previews, which are to start on Monday 26th February. What certainly caught our attention is that Blake had indicated that most of the cards in Masters 25 will have the watermark with the symbol of the set they are from. Very cool and yes, the nostalgia is prepared to overload here. In related news, NOW is the time to buy copies of Unstable's 'Watermarket', which when this land is tapped will produce two colourless mana to cast spells with watermarks. Some interesting things to discuss. 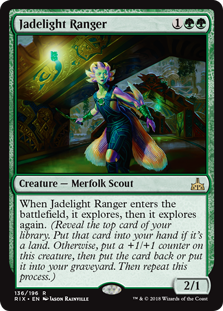 Since Rivals of Ixalan was released, the MTG Realm play group has pulled a deckset of Jadelight Rangers. As you may know, this Merfolk has a CMC of 3 (1GG) for a 2/1 body but 'Explores' twice. Nope - that was not a stutter - it explores twice, which reminds us of Yosemite's HungerBear (Double Rainbow guy) appreciating the prismatic doubleness. Did you just stutter ? One of our favourite Magic: the Gathering lists in standard before it rotated out was Hardened Scales. We would LOVE to get this band back together again with Jadelight for some casual kitchen table fun. 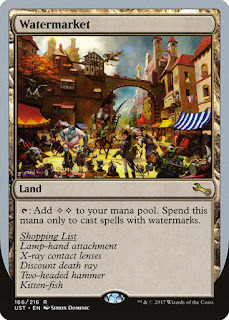 For standard FNM play however, we had not anticipated building with the card for a number of reasons - it had become a rather popular card and in tandem, the price had matched the demand. Price is not a consideration now that we have our copies (we also want some for a a Commander build with Prime Speaker Zegana). Where to start however ? 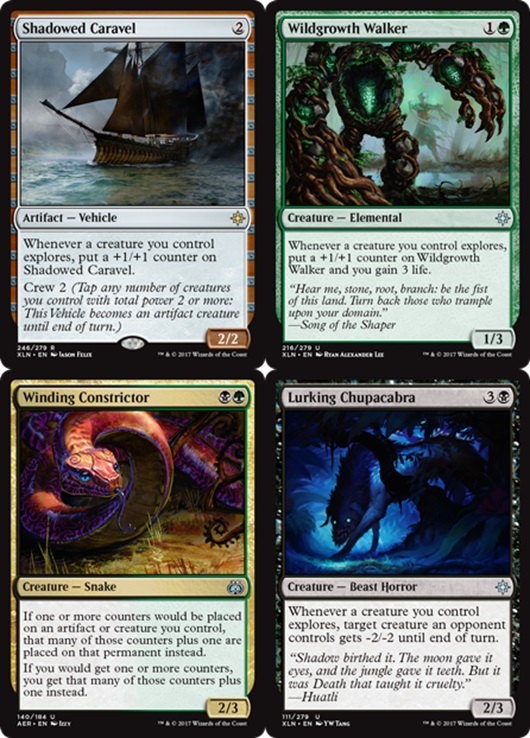 The best synergies is likely paired with Winding Constrictor for double (double) the fun for a explore / +1/+1 counter theme. We do love our themes, perhaps an unhealthy volume as we normally defer to theme over the competitive-ness of a list. We'll be spending the weekend with a coffee / tea and touching a whole lotta cardboard while the winter storm blows outside. Sounds great to us. Should you have suggestions with Jadelight, drop a comment or a link to your list below.